Robust mental health is paramount to our well-being. In the past, mental health was ignored, disregarded, hidden from view and never discussed. Now, we are living in a different era, where the stigma around mental health is slowly being shed from our consciousness, leading to more awareness, more positive initiatives and more support than ever before. One facet of this is a new form of natural therapy—using our beloved animal friends to help heal us emotionally. Emotional support animals are a wonderful new form of assistance for those experiencing mental illness, one that has been showing great promise in treating all kinds of conditions. If you've already got an ESA or if you're thinking about it, this article will explain how you can travel with your support animal, and some expert tips on how to do it flawlessly. When traveling with an ESA, your pet doesn't need a passport. But, they do need an ESA letter. If you already have an ESA, you've probably got your letter. An ESA letter is a letter written by your doctor ( here is how to ask doctor for emotional support animal or therapist confirming that your support animal is part of a treatment plan for your condition and other details about your treatment. Without this letter, you will not be allowed to fly with your pet. Ensure that you have this vital piece of documentation before you even think about going anywhere! Unfortunately, traveling with ESAs is not a thing everywhere in the world. Within the U.S., traveling by air with emotional support animals is protected by the Aircraft Carrier Access Act (ACA). This is subject to individual airline policies, many of whom have recently changed their policies to stop any animals except dogs and cats being allowed on flights. If you have a cat or a dog for an ESA and you want to fly within the U.S., it's likely that you'll be absolutely fine to do so. 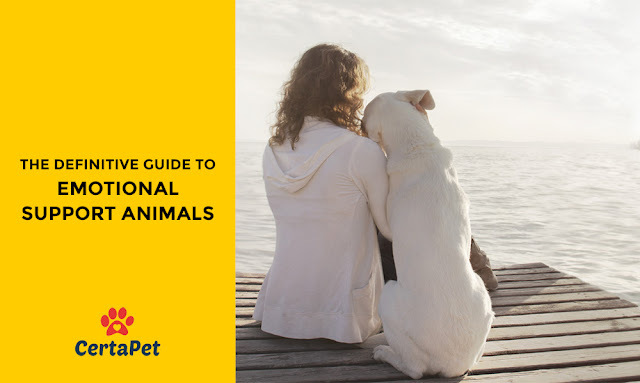 But, if you want or need to travel further afield with your pet, you'll need to do some thorough research before you even think about buying a ticket. Some destinations are far more welcoming and safe for ESAs than others, so make sure that you factor that into your travel plans. Air travel is the most common way to bring your ESA traveling with you. Flying can help you and your pet to travel large distances, efficiently, meaning that you can spend more time at your destination and less time in transit. While it can be a quicker way to travel, it also comes with some added preparation considerations. It's important before you travel with your ESA that you tick a few things off to ensure you have the most positive experience possible. One of the first things to remember is that before flying it's extremely important to check out the requirement of the airline that you're flying with. While in the past it was a case of showing up on the day of the airport with your ESA letter and pet in tow, many airlines now require passengers to send in a range of documents at least 48 hours before their flight. Before arriving at the airport, it pays to do some training with your dog to ensure you both have a great experience. Carrier or crate-training is a must for pets who are flying. Well before your flight, begin training your dog to stay in its crate for an appropriate length of time. This will help to make your trip smooth, by decreasing both you and your dog's anxiety. Another handy tip for air travel is to pack a crazy well-stocked 'pet bag' full of everything you're likely to need. Some essentials? A pop-up water bowl, treats, food, extra towels, paper towels, cleaning disinfectant spray and poop bags. That's just a start! One more key to airport success is preparing your dog for the sights and sounds of the adventure you're about to embark on. Airports can be noisy, overstimulating, scary places for dogs and cats. Try playing some airport ambient noise at home to prepare your pet to fly. Every little bit counts! Unfortunately, at this time the right of emotional support animals to travel on buses and public transportation in general is not protected. This means that most ESAs are not permitted on these vehicles, and generally flying is generally a better option. There may be some exceptions to this rule depending on the individual company, so it's worth contacting them to check their policy. One of the easiest ways to travel with your ESA is by driving with your pet in the comfort of your own car. If you are traveling a within the U.S. and have some spare time to make the journey by car, this is one of the easiest options for traveling with your ESA. By traveling in a car you are free to give your dog or cat plenty of breaks from traveling, keeping them happy and relaxed. Traveling with your ESA is an excellent way to look after your mental health and with the correct documentation and a little planning, it can be simple too. Take your ESA on your next trip or vacation and enjoy the benefits of your own furry supportive presence to enjoy your time with!